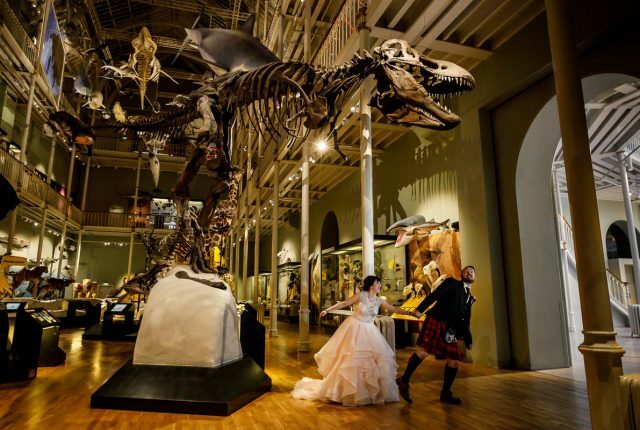 Animals at weddings? 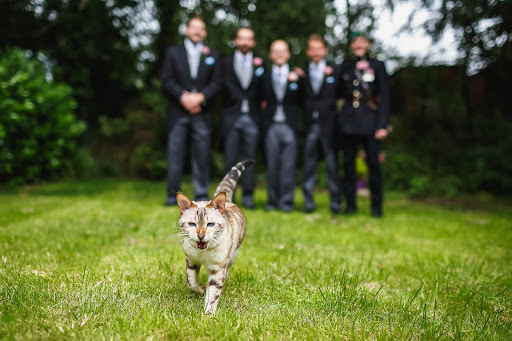 It hasn’t always been a thing, but If there was one impossible thing I could have had at our wedding, bar gypsy-punk rockers Gogol Bordello play our reception, it would have been having my cats incorporated into the day somehow. Our three fluffballs are an important part of our universe, but getting ready at home wasn’t practical so at home they stayed snoozing away whilst their humans made it official. 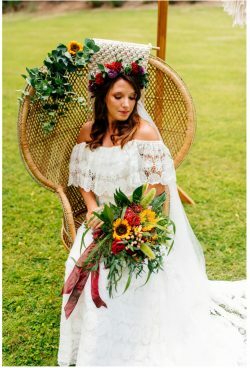 For huge animal lovers like us, we had to settle for a wooden Dala horse as the only real nod to our general tendency to fawn over animal-kind, but these days there are various ways you can bring animals into your wedding. In the interests of transparency, I am not vegan, nor vegetarian. 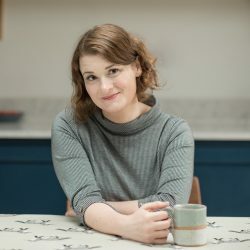 We’re what the media seems to label ‘flexitarian’ in the sense that we massively reduced our meat consumption last year and now only occasionally eat it. But when I do it comes with a side order of guilt, so I try and be confident about the quality and welfare. But I’m working on it, so, back to the animals. If I’m in a room full of people and there’s a cat or dog in the corner, well that’s my night’s company sorted. 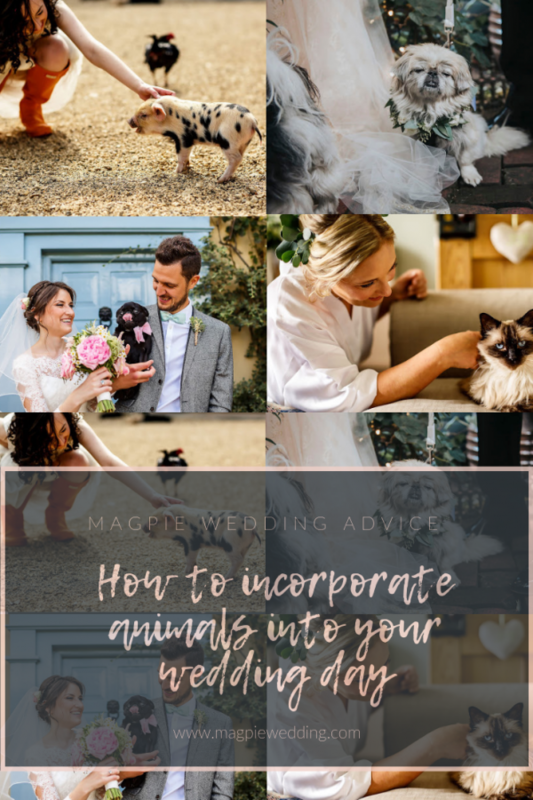 If you’re like me and feel sad at the idea of only having humans at your wedding, here are a few ways to incorporate animals into your wedding. 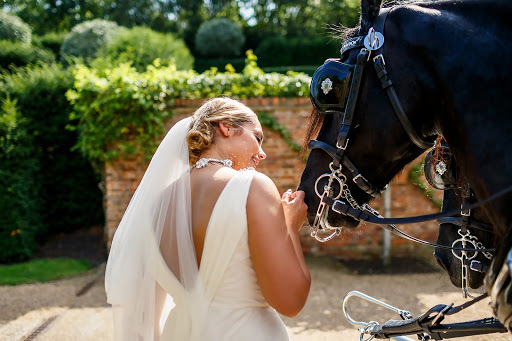 Choosing a venue with a connection to animals such as a farm is a great way to have them present at your wedding without you doing the leg work. 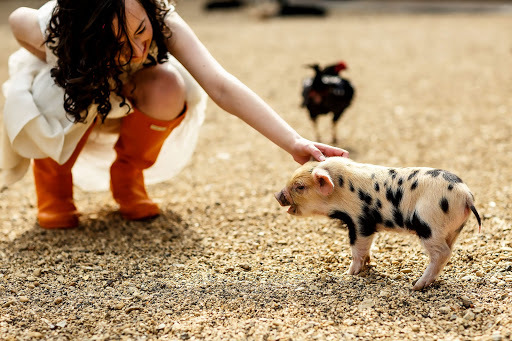 South Farm in Cambridgeshire is a genuine small holding and regularly have adorable bundles of piglets and baby runner ducks on hand for extra cuteness. 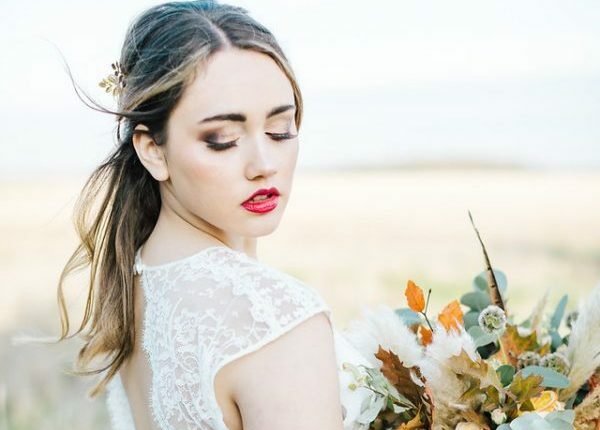 With staff on hand to take couples in for pictures, your cup will run over with joy as a little piggy tries to nibble the lace train of your dress. Access is restricted though, so as not to put the animals under too much stress which is always a thumbs up in my book. 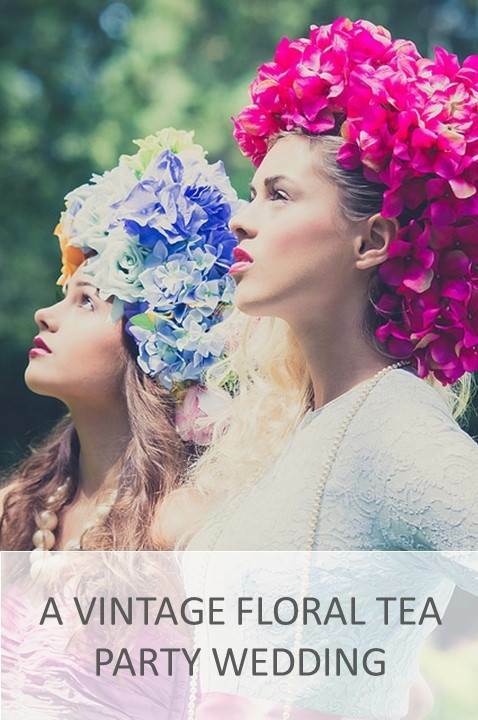 The easiest option for lovers of cats, bunnies and guinea pigs, if you get ready at home you can enjoy the comfort of your cats’ purrs to calm your nerves, and capture your beloved pet with you on your big day. 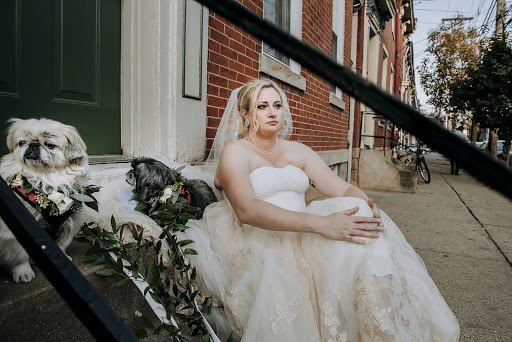 You might not want a jumpy dog around in your dress, but if you can remember it’s just a dress then having pictures with your special friend will be priceless. 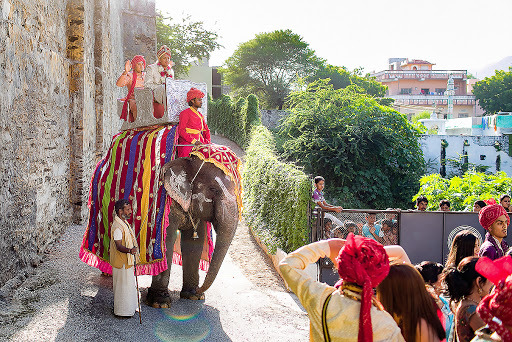 OK so maybe riding in on an elephant is not the easiest of options, but if you are a horse lover then a horse and carriage is one of the oldest forms of travel. 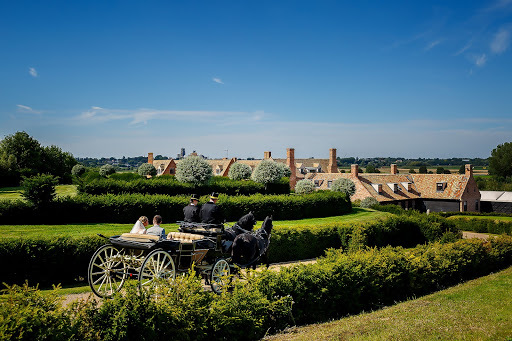 From a chauffeured cart to a princess carriage, you can be led by these majestic beauties and travel in a calm and regal manner to your big day. 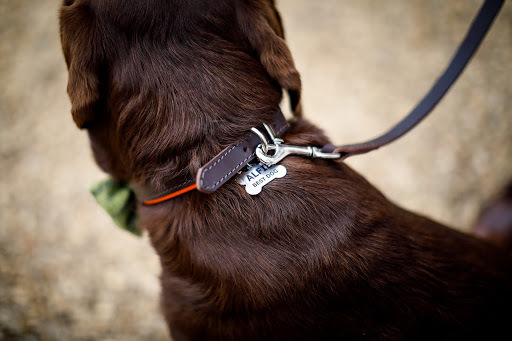 Your canine pal can be there right by your side in a key role such as ring bearer. 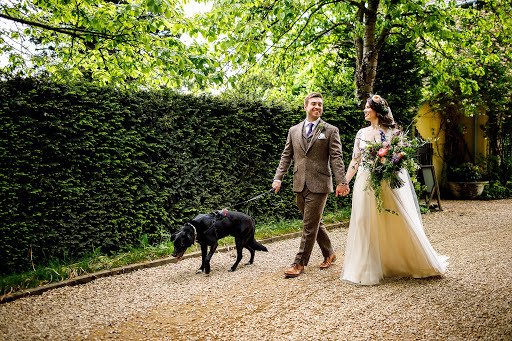 It’s worth bearing in mind that many registrars won’t allow dog ring-bearers (boo) but we have had dogs in churches and in celebrant-led weddings take on key roles. 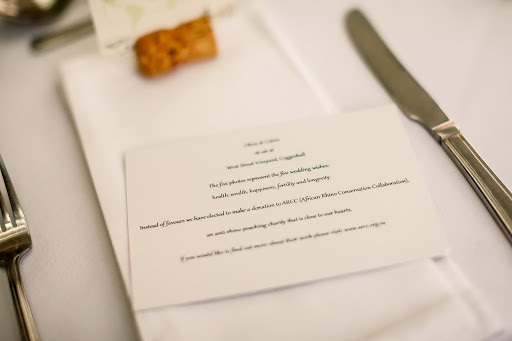 One of the many many reasons we highly recommend celebrant-led weddings. 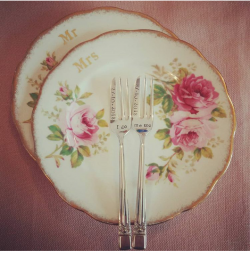 Getting married by a registrar? Then you could have your dog come to your drinks reception so you can have some pictures with them. 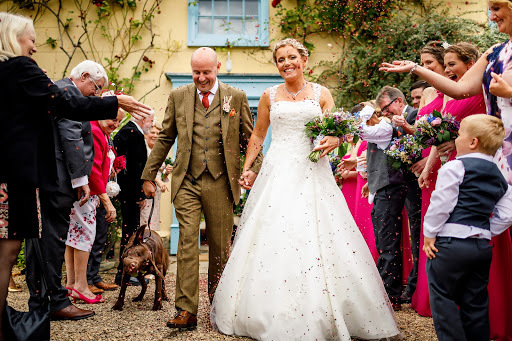 There are some great dog handling services such as Walkies at Weddings who will not only look after your pooch the night of the wedding, but will also bring them to the big day for you too. It’s important for you to consider if your dog has the right temperament for this though, we’ll come back to this later. 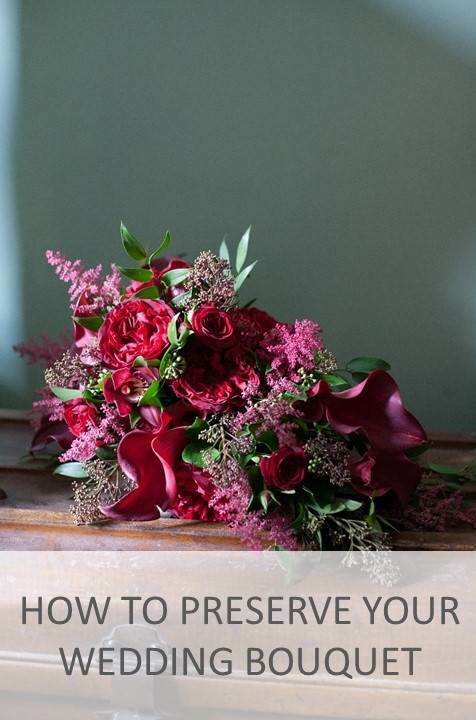 Exhausting all of the above, why not honour your pet visually on the day. 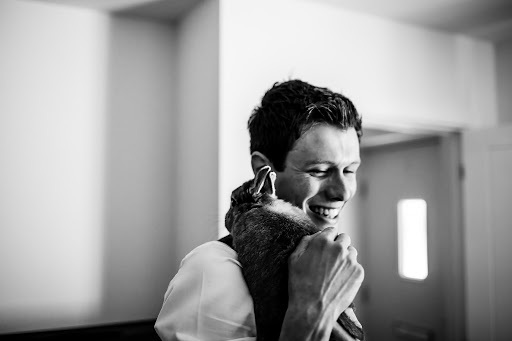 We recommend a pre-wedding shoot as a great way of including pets who can’t be there on the day, and then you can choose a great picture of you with your pet for your signing frame, or have pictures from the shoot and of your pet hung around the room. 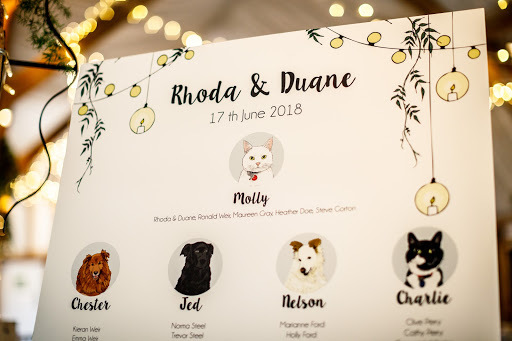 Of you could go one further and have your table names honour every pet you’ve ever owned – with your current love the top table of course – we loved this idea and the accompanying drawings were swoonworthy. 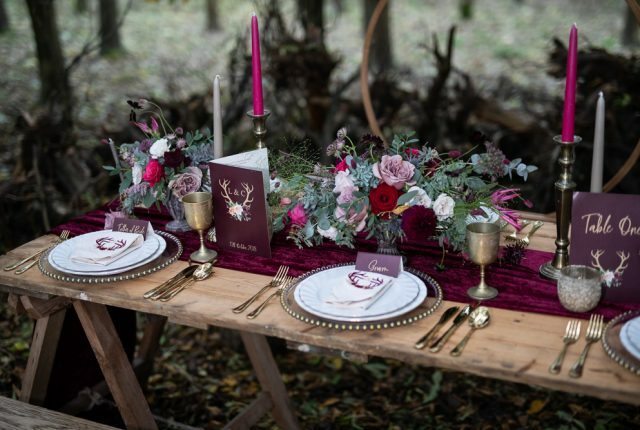 Of course, this is all very lovely, but there is a very real consideration about the welfare of an animal which needs to be acknowledged when it comes to having animals at your wedding. 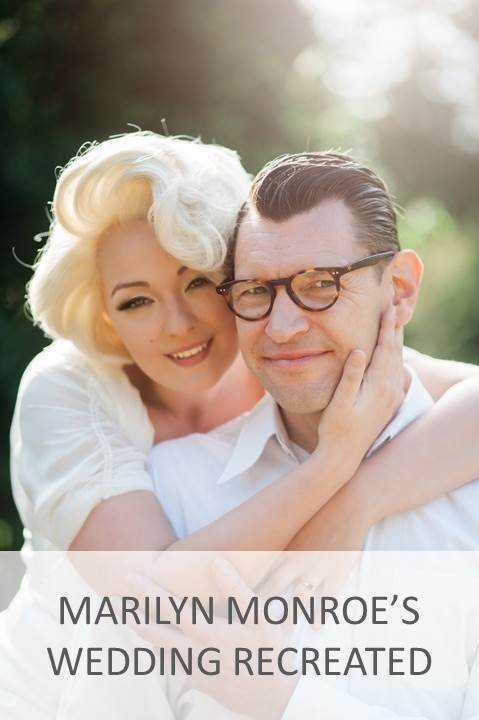 Our love for our cats, and my position as secretary of our local brand of a cat charity, meant having our cats at our wedding never really entered our heads. 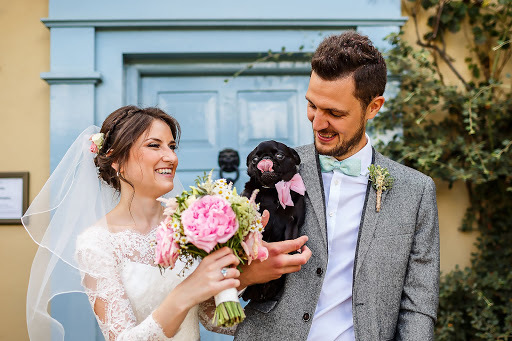 Being a responsible dog owner means considering whether your pet really could cope with being at a wedding – all those people, the noise, the drinking and merriment. 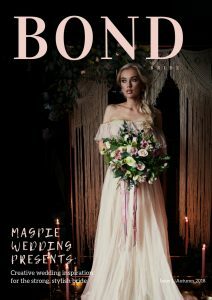 Actually if you really love animals, is a wedding the right place for them? 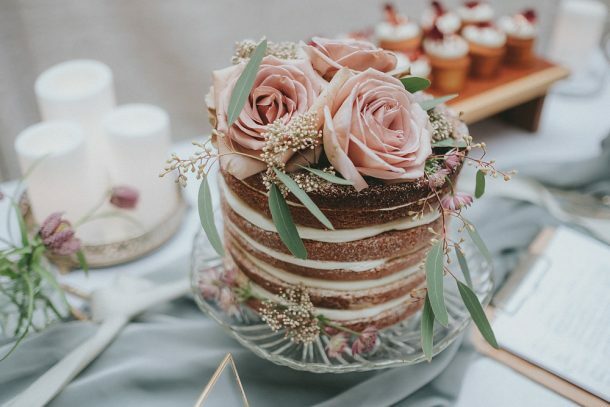 To get a fully vegan animal lover’s point of view, I spoke to Sandra Chile, a fantastic photographer from Pittsburg who actively encourages her clients to be ‘socially responsible’ when planning their wedding. 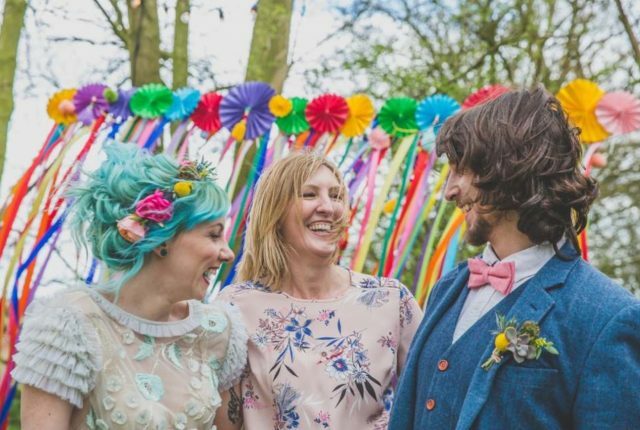 Sandra offers discounts to her clients if they donate to charity, give leftover food to the homeless or have a plastic free wedding. 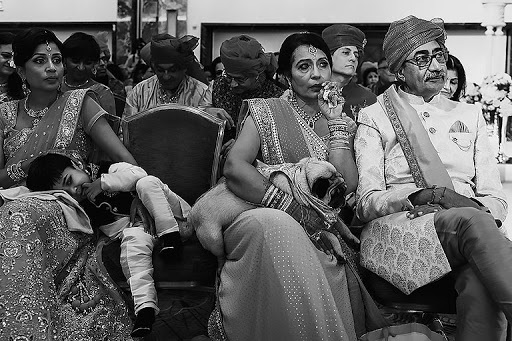 “I believe that being good stewardships means that we have to assess the impact of having an animal at a wedding brings, for that animal, and for those who see the wedding pictures.” says Sandra. 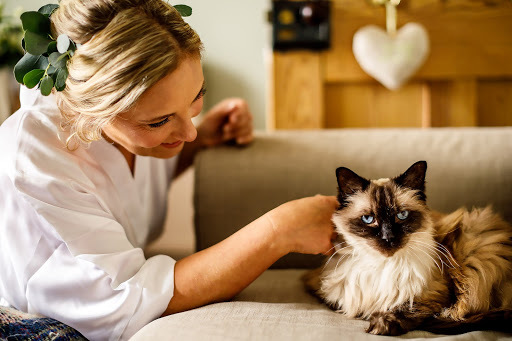 Like us, Sandra believes that having a set time for images with your pet, be it whilst getting ready in the morning, time away from the drinks reception or on an alternative date such as during an engagement shoot, might be better for them. 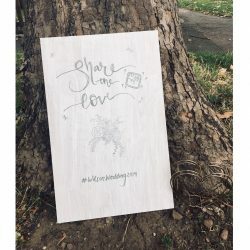 “Making that a priority and part of the timeline, will result in beautiful pictures that imply your pet is part of your life, in the same way, but with way less stress for the pet. Can you imagine how great it would feel giving a donation of 100 cans of food to a shelter? I wish I’d had that idea. A great way to also give back to a shelter is to make a charity donation in lieu of favours to an animal charity or shelter. 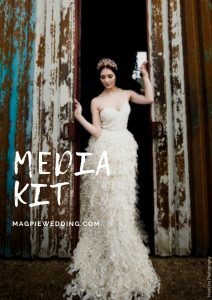 One thing Sandra and I definitely agree on is that whilst having non-pet animals at your wedding sounds great in theory for someone who self identifies as an animal lover, but there are more impactful ways to spread a message of compassion towards animals, that can be more practical and simple. Even when it comes to your own pet, being a responsible pet owner means you should clearly assess whether your animal, and let’s face it we are (hopefully) only really talking dogs here, could cope with the stress of a wedding, and whether including them in your pre-wedding shoot would actually be a more realistic and personal option, allowing us to capture them in all their glory, running around a park. 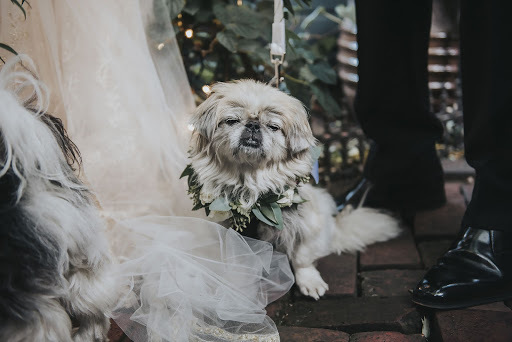 You may be the owner of a well-behaved dog which will lap up the attention, which thankfully, unlike Sandra, is all we’ve experienced, but we can see how a wedding could be very stressful for a certain type of dog. 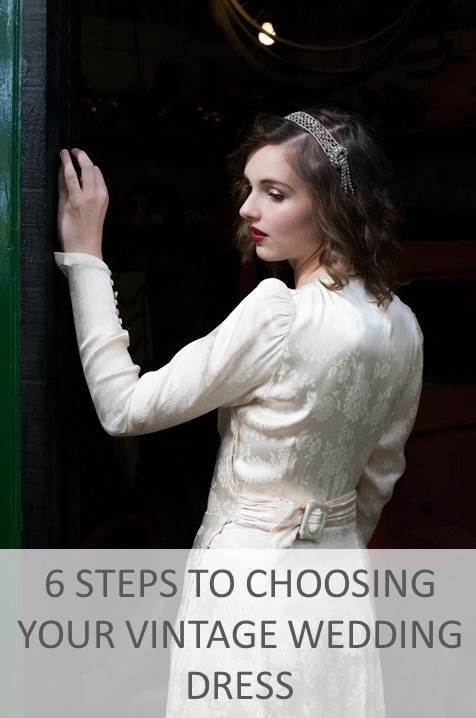 I’m going to give the last words to Sandra, and leave you with her five top tips on how to have a ‘pro-animal’ wedding. I can’t see why anyone in this day and age isn’t doing this already in their life in general to be honest! 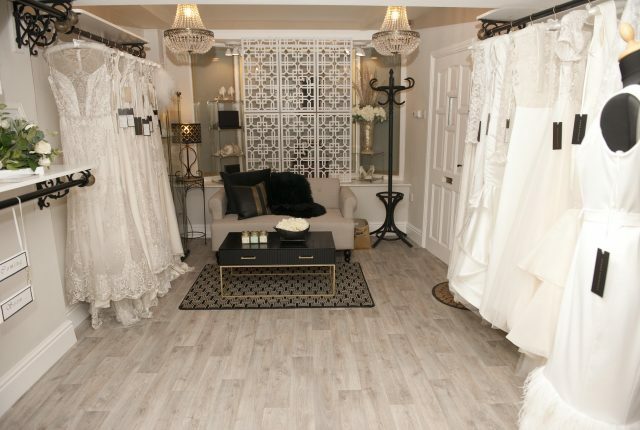 Why not revisit our blog post on ethical wedding dresses?